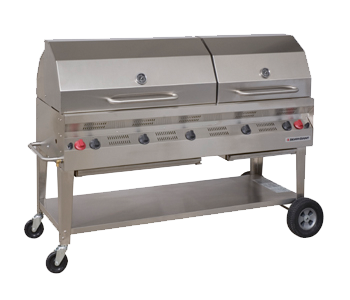 The Silver Giant SGC-60 is the newest addition in our line-up has sparked a grilling revolution. Superb performance and versatile design, including two independent compartments have earned the SGC-60 a place on our roster. 39" x 26.5" x 35.5" 51" x 26.5" x 35.5" 66.5" x 26.5" x 35.5" 78.5" x 26.5" x 35.5"